They can’t see me but I can see them. My favourite visitors have just blown in to Trelowarren. A couple of Firecrests, which vie to be the UK’s smallest birds, have turned up in the camellias that I look at through my office window. They can’t see me but I can see them. 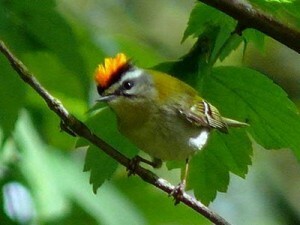 There is definitely a male and he has the splendid orange bar on his head, centrally between yellow and black stripes. They give me great pleasure when they arrive in the depths of winter, especially like today when it has snowed and is very windy. We have a growing list of recorded birds here at Trelowarren and as everyone knows the Lizard and Penwith are fantastic for bird watching. On the Lizard we see a great number of birds both resident and passing through. We usually see the Wheatear, the Tree Pipit and the Yellow Wagtail appearing for autumn, Guillemot and Razorbill in the winter and Firecrests and Redstarts in the spring. 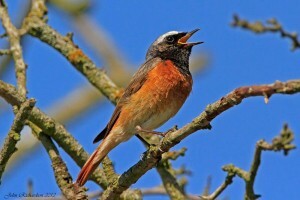 It wont be too long before the Chiffchaff, the Short-Eared Owl, the Whitethroat and the Spotted Flycatcher arrive too. To keep up with the bird watching in Trelowarren in Cornwall sightings as they happen click here – its a great website with some beautiful photographs. The gardens of Cornwall are at their best in February and March. The Great Gardens of Cornwall are having their annual race of magnolia blooms so it is easy to know which garden to visit. With the camillias, the primroses, the magnolias and of course the daffodils, Cornwall is really coming to life.